This year's festival will be 10th - 18th August 2019. 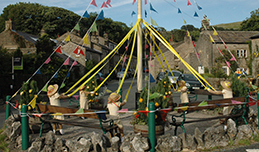 Running for over 20 years, Kettlewell Scarecrow Festival is one of the original, biggest and best in the UK – and one of the best value summer days out for all ages in the heart of the Yorkshire Dales! From famous celebrities and sports stars to topical characters and the downright quirky, there are plenty of scarecrows to spot in every nook and cranny of this idyllic Yorkshire Dales village. 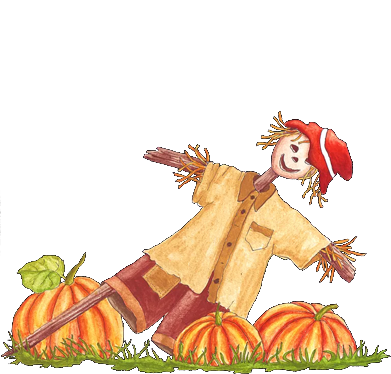 There are two fun themed trails too – one for children and one for the adults – to find the scarecrows that solve the clues for daily prize draws to win £10 (trail sheets cost just £1!). All profits from the trail sheets, village hall refreshments and car park go to Kettlewell Primary School, the village hall, St Mary’s Church and other community projects. Kettlewell boasts a fabulously scenic setting in Upper Wharfedale - not only appearing in the original opening credits of Emmerdale but also featuring in the ‘Calendar Girls’ movie. We have a lovely grassy play park in the centre of the village and many walks along the River Wharfe and into the surrounding fells. See Info and Getting Here for more details. Take a look at some photos from our recent Scarecrow Festivals!